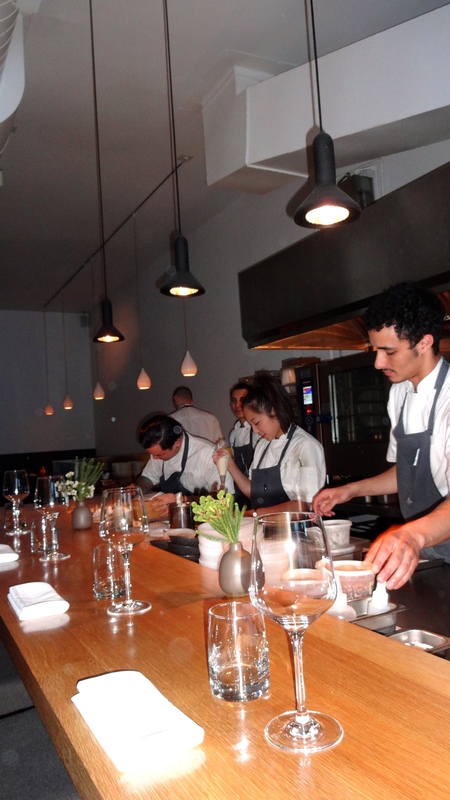 Commis, a modern New American/Californian cuisine restaurant located on Piedmont Avenue in Oakland, was established back in 2009 and received its Michelin star four months after its opening. 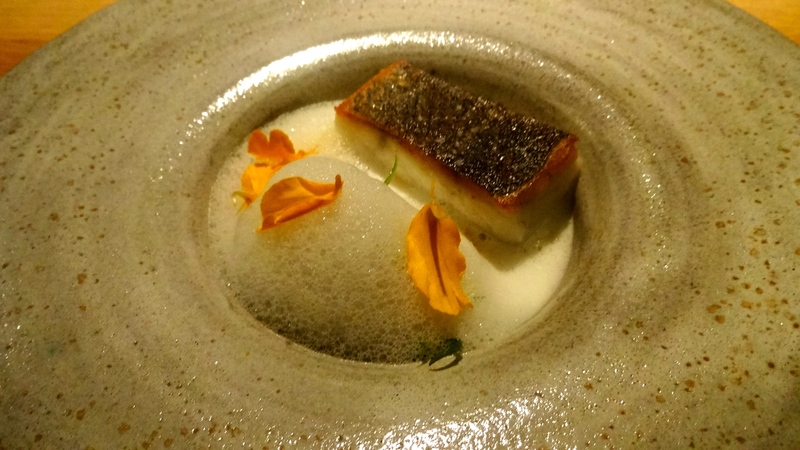 The restaurant offers one prix fixe nightly menu, that changes frequently depending on what products and ingredients are available, with multiple small courses showcasing beautiful refined food. Chef and owner James Syhabout, an Oakland native, has worked at some of the world’s top restaurants such as The Fat Duck outside of London, El Bulli in Spain, Coi in San Francisco, and Manresa in Los Gatos. With this working experience and his Thai and Chinese background, chef James Syhabout and his team create elegant works of art on a plate with magnificent flavor combinations. The restaurant itself is sleek, clean, and modern and only holds about 30 seats. Tommaso and I enjoyed dinner at the chef’s counter which I personally love because I can see the kitchen brigade in full action. 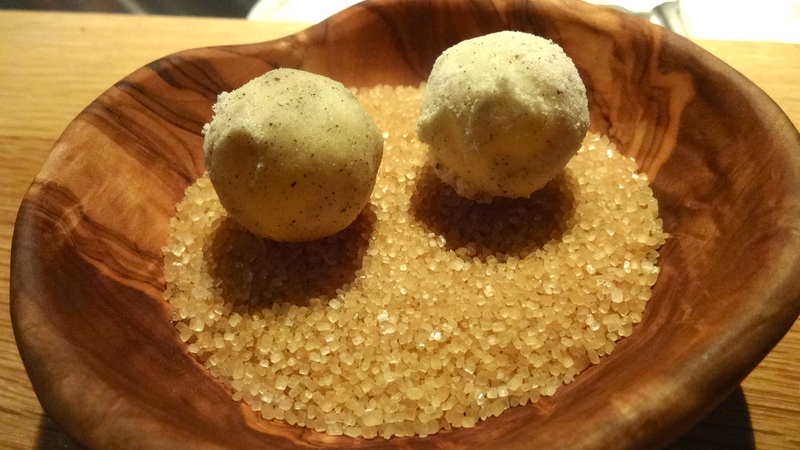 The menu consisted of eight courses not including amuse bouches, pre-dessert, and petit fours. 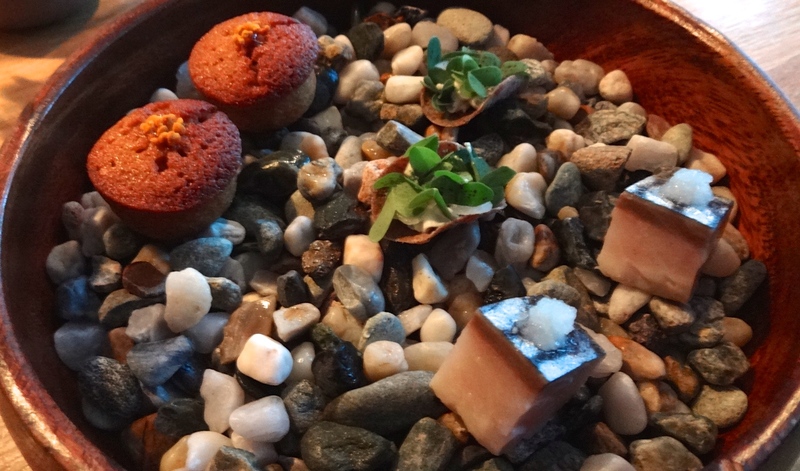 Amuse Bouches: Caramelized Onion Financier with Bee Pollen (8/10), Buckwheat Oyster Cracker with Lovage and Herbs (7.5/10), and Marinated Mackerel (7/10). 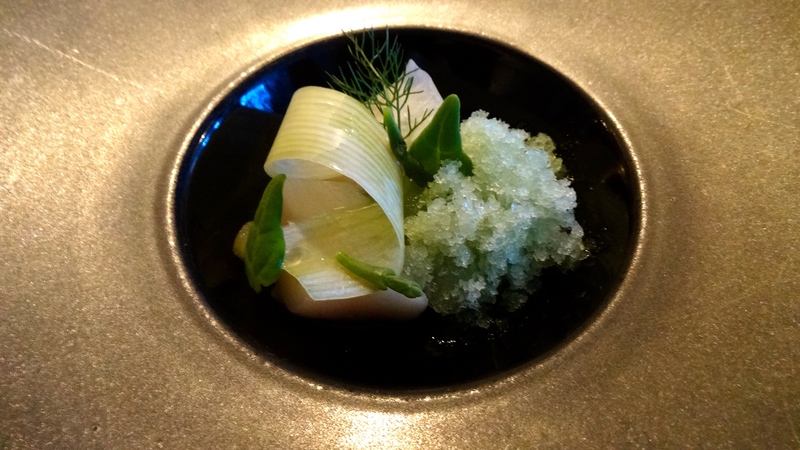 Brined Scallops with Fermented Cucumber, Cucumber Granita, Apple, Dill, and Sea Vegetables (8.5/10). 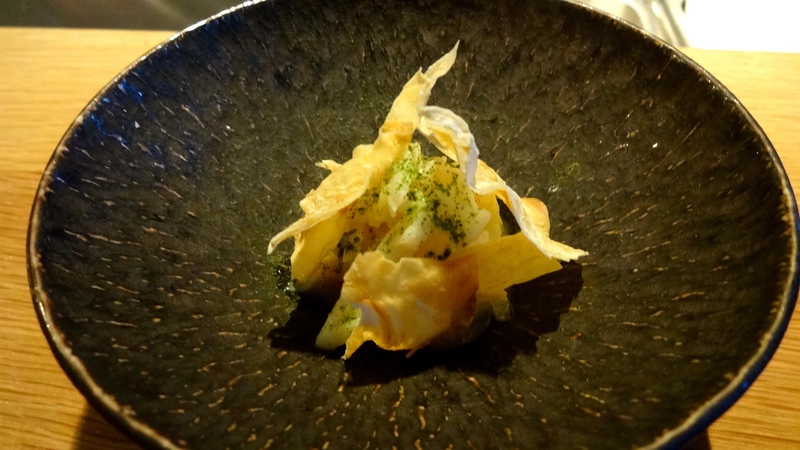 Dungeness Crab with Coral and Dried Pickled Celery Root (8/10). 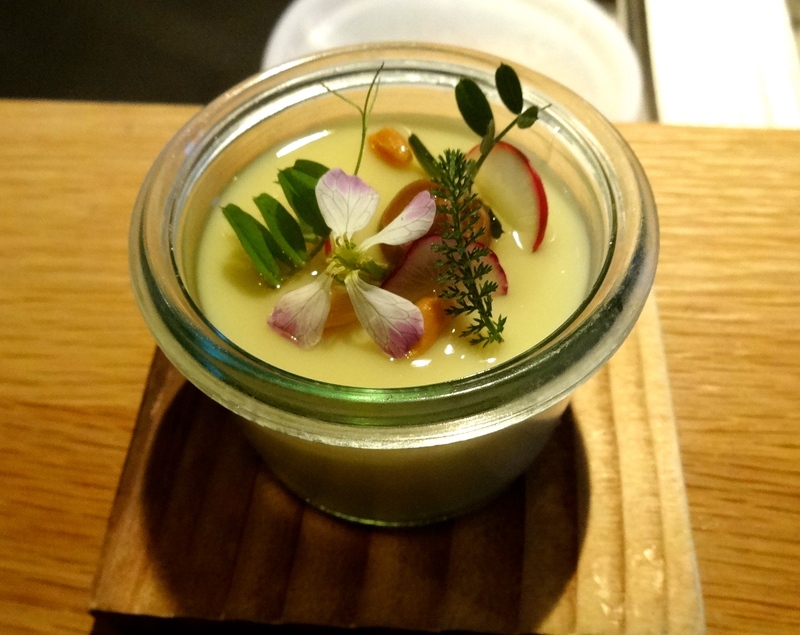 Warm Custard with Pine Nuts, Mushroom, and Radish (7/10). 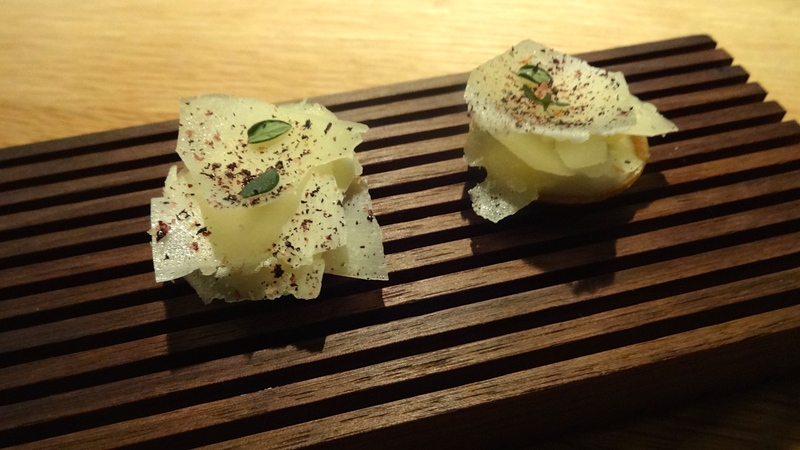 Winter Brassicas with Hazelnuts, Candied Apple Cider, Capers, and Licorice Herbs (8.5/10). 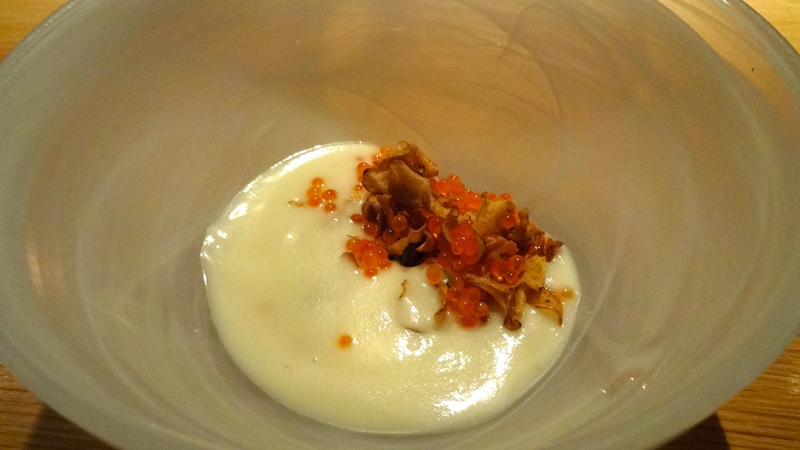 Smoked Trout Roe with Herbal Yogurt, Malt Vinegar, and Jerusalem Artichoke Soup (9/10). White Bass with Brown Rice, Pickled Turnips, Ginger, and Scallions (7.5/10). 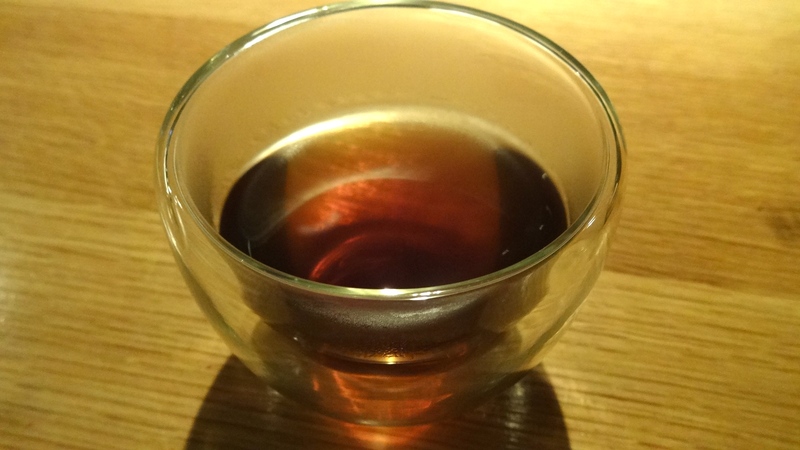 Tisane of Button Mushrooms (7/10). 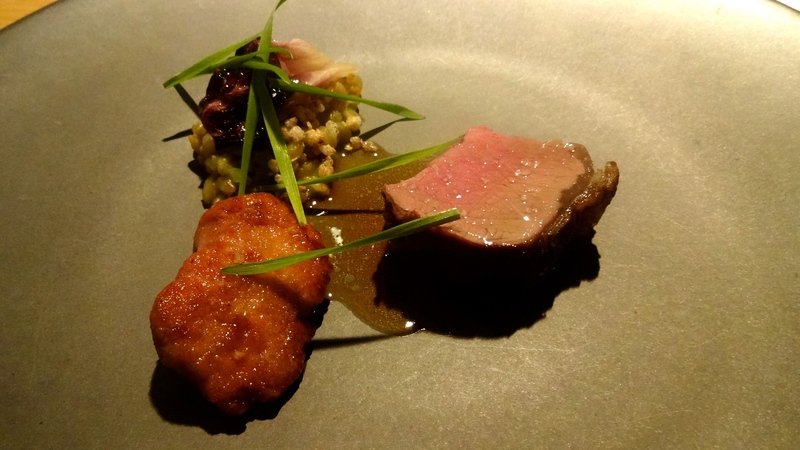 Charcoal Grilled Lamb Saddle with Sweetbread, Grains, Puffed Buckwheat, Wheatgrass, and Chicory (8.5-9/10). Raw Sheep’s Cheese Tart with Blueberries and Thyme (8.5/10). 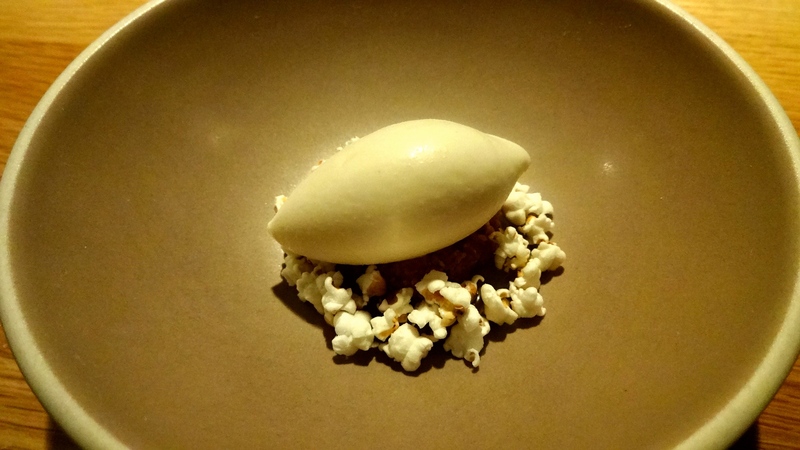 Sorghum Ice Cream with Marcona Almonds, Popcorn, and Olive Oil (8/10). 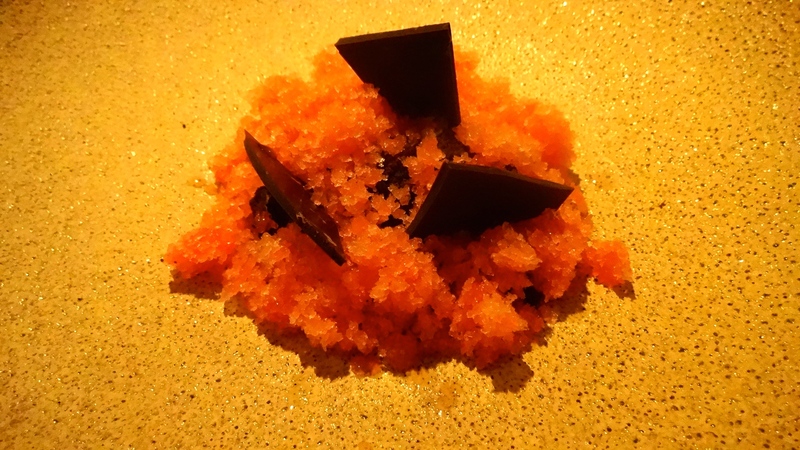 Cara Cara Orange Granita with Dark Chocolate Sablé and Coconut Cream (7/10). 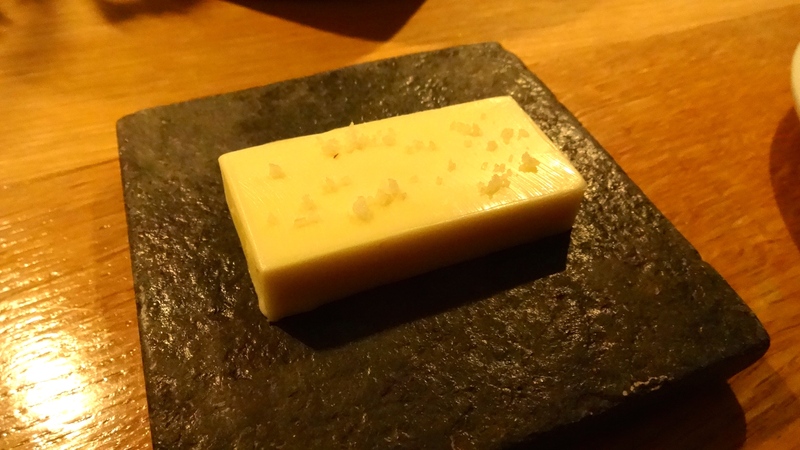 White Chocolates filled with Young White Tea (8/10). Chocolate Peppermints (8/10) and Blood Orange Milk Chocolate Marshmallow (7/10). The entire tasting menu was beautifully presented and each course showcased creativity and was packed with flavor. 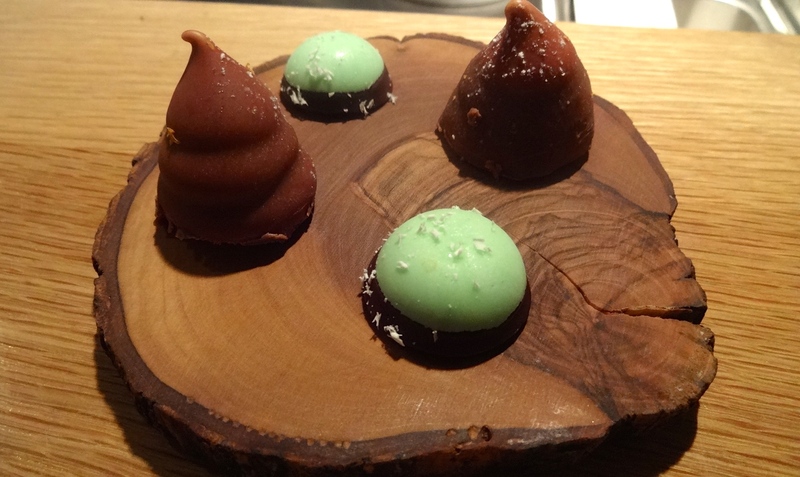 The amuse bouches were all divine and executed perfectly. Some of my favorite dishes of the meal were the raw scallops, winter brassicas, jerusalem artichoke soup, and the lamb saddle. 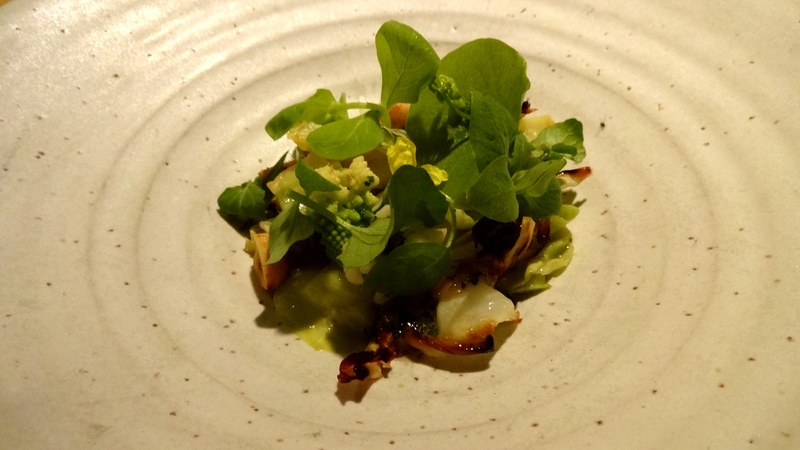 The raw scallops with fermented cucumber was a great way to start off the meal; meaty yet tender luscious scallops with crisp cucumber, sweet but tart green apple, and fresh herbs. The winter brassicas, an assortment of braised and grilled winter vegetables such as lettuces and romanesco broccoli, was an amazing combination of flavors. It was extremely satisfying for a vegetarian dish with crunchy hazelnuts, salty capers, and licorice herbs. The jerusalem artichoke soup was rich with creamy herb yogurt and paired perfectly with the smoked trout roe which added a great textural component. Lastly, the lamb saddle with sweetbread was outstanding. The lamb was cooked to perfection and melted in my mouth. 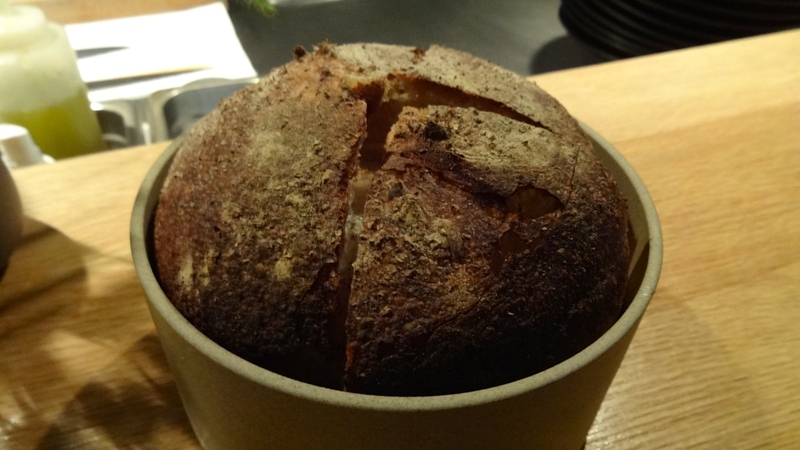 The sweetbread was also cooked immaculately and gave the dish a rich creamy component. Desserts and petit fours were also delicious, creative, and fun to eat. Overall, I’d rate Commis at a 8-8.5/10 for a wonderful dining experience with delectable and innovative food. SLO, the Happiest City in America.